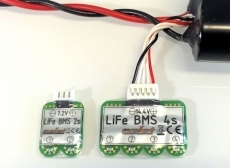 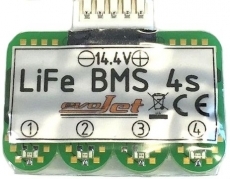 The LiFe BMS (Battery Management System) is a voltage-checker and balancing unit for LiFe Lithium/Iron batteries. Separate stages up to 4s and a charging voltage (CV) of 3.60 Volt per cell. 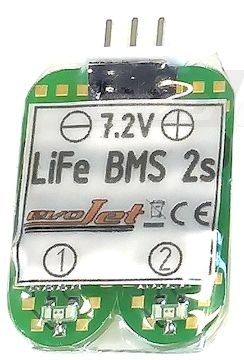 The LiFe BMS remains at the battery pack (onboard). 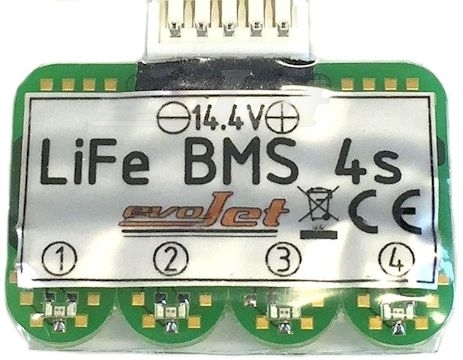 LED lights displays the charging status.